De Rustii is a quiet and comfortable apartment located at the second floor in an original Renaissance building in the historic centre of Florence. The apartment contains a spacious living room with a sofa bed, a well-equipped kitchen, a bathroom and a bedroom. The apartment De Rustici is located in Duomo area. 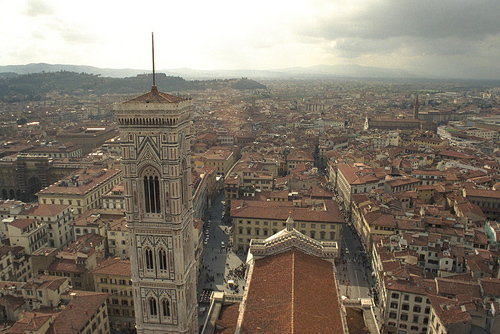 The apartment is located in the middle of the historical centre and the main places to visit, such as The Dome, Piazza della Signoria, Ponte Vecchio, Palazzo Pitti, Santa Croce, Uffizi and Accademia are all walking distance. The neighborhood is full of beautiful piazzas and typical streets, restaurants, bars and fashion stores. Santa Croce Square - 0.22 km. Uffizi Gallery - 0.28 km. Ponte Vecchio - 0.53 km.